What is Microdata and why you need it? Microdata will enhance your Joomla site content with search engine optimized and it helps Joomla CMS to explain itself to the search engine using semantic information. You might be familiar with other name of microdata called Rich Snippets. With microdata, your content will be 'restructured' with content’s type, author, rating, and other SEO friendly data. This will ensure a richer web browsing experience to users. With the integration of Schema.org markups for job offers, JA Jobboard allows search engines and apps to easily parse the content. Here are the markups for JobPosting: http://www.schema.org/JobPosting. Can I do it manually (without upgrading)? Yes, you can. Please see the details of how we implement this feature in JA JobBoard below. In this file, we add the following code to the bottom. Case study: An employer adds one job to your system, three candidates make application for that job. The job now has 3 applications. When the employer logs in, he can see those 3 application for his job, he can choose and select the qualified candidate for the position from the all these applications. 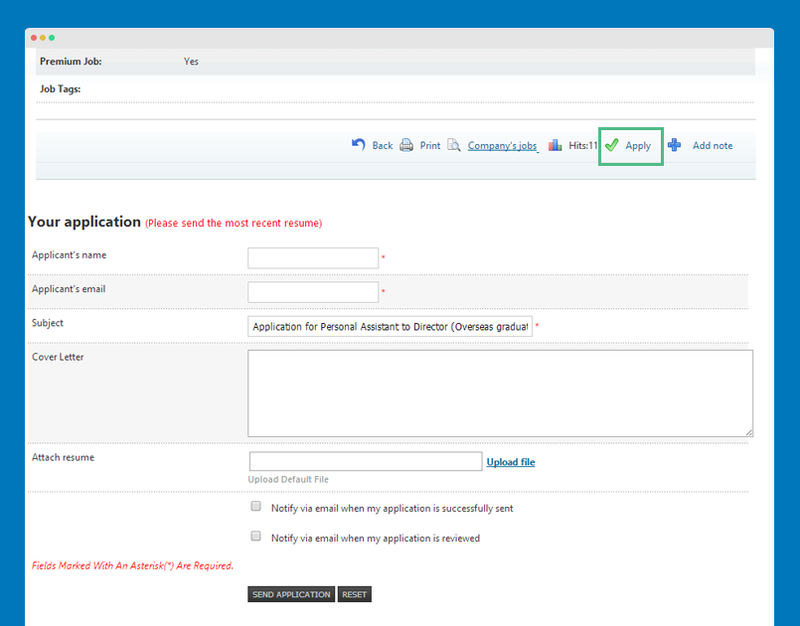 The employer can also filter applications with options: Display all, Only selected applications, Only unselected applications. The feature is hard coded so there is no setting or configuration. 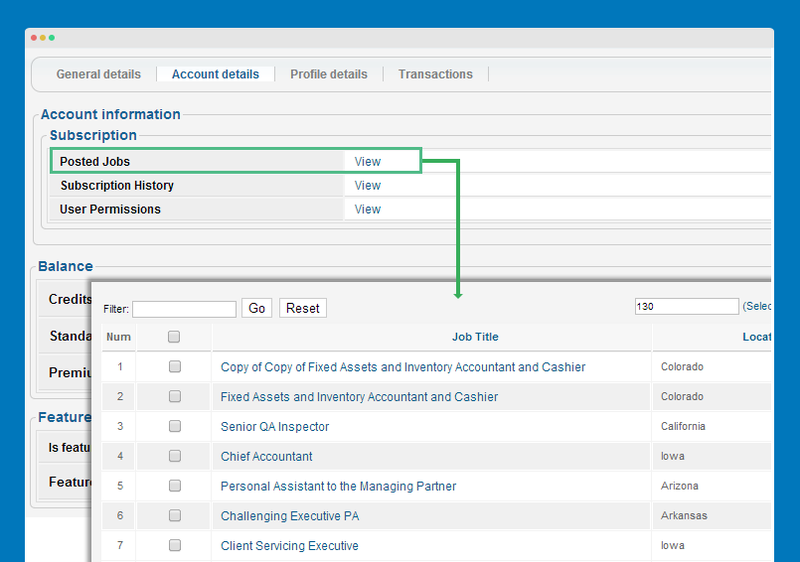 Feature description: When looking at an employer profile in the back-end, you can view all jobs of this employer. From the back-end of JA JobBoard setting panel, go to "Job Board Manager >> Employers" then select the employer you want to view jobs. In the "Account details" tab, you will see a new field "Posted Jobs", hit the "View" button to see all jobs of the employer. Feature description: Admin can allow Guest to apply job. They don't have to be Jobseeker to apply. To enable this option, in the JA JobBoard component back-end setting, go to "Subscription and Permission >> User Permissions >> Guest" then enable option "Apply job". 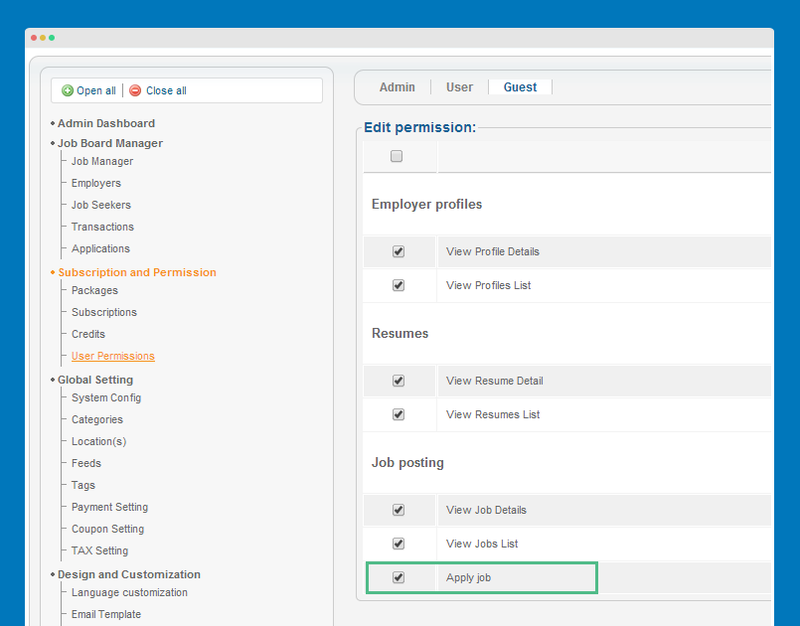 When viewing a job, they can hit "Apply" to apply the job then add info in the form so that employer can contact them. Please always take a full back-up before upgrading. When upgrading any JoomlArt extension, we suggest you to use JA Extension Manager, it's safe and easy. It's FREE, you can download it at: http://www.joomlart.com/forums/downloads.php?do=cat&id=303. Here are the basic steps to upgrade with JA Extension Manager. 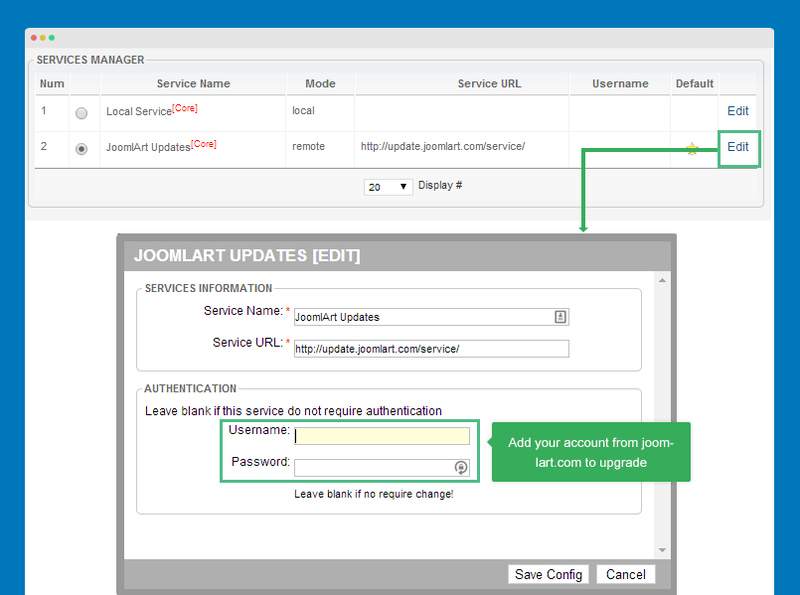 From back-end, go to "Services Manager" then select JoomlArt as the default service. As JA JobBoard is a premium product so you have to add your account from JoomlArt.com to the JA Extension Manager to upgrade. Hit the "Edit" button in the "JoomlArt" service then add your account. 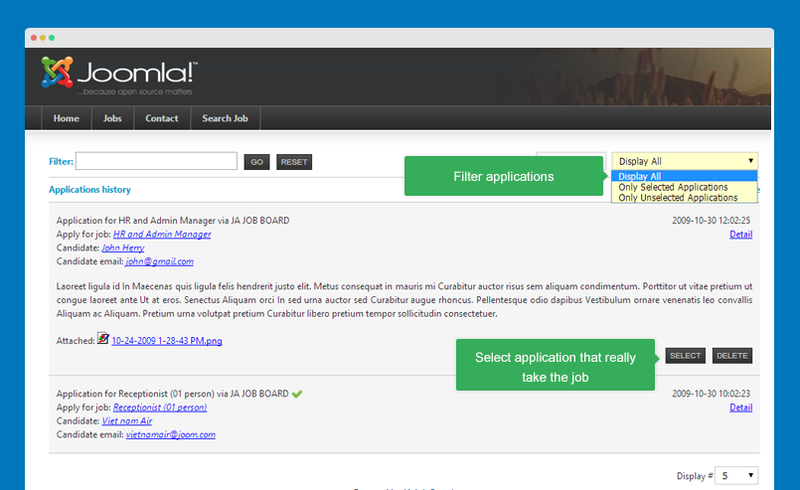 Now find JA JobBoard component, modules and plugin, check for new versions and upgrade.